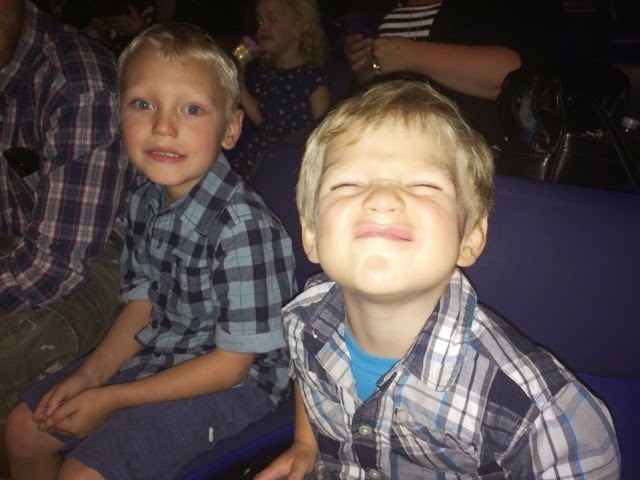 rogue poags: cirque du soleil AMALUNA review & giveaway! 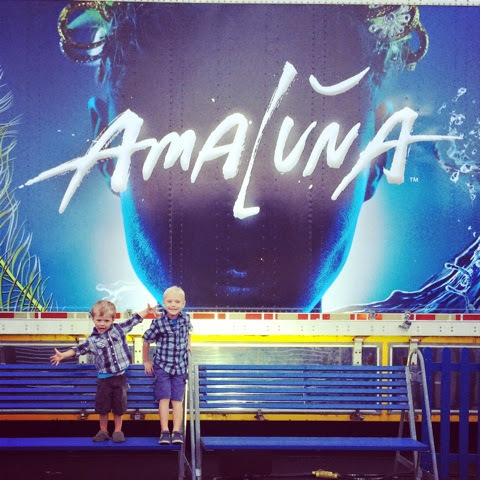 cirque du soleil AMALUNA review & giveaway! If you're anything like me, you love attending things that are awesome; such as: concerts, anything on Ice and of course, Cirque Du Soleil. 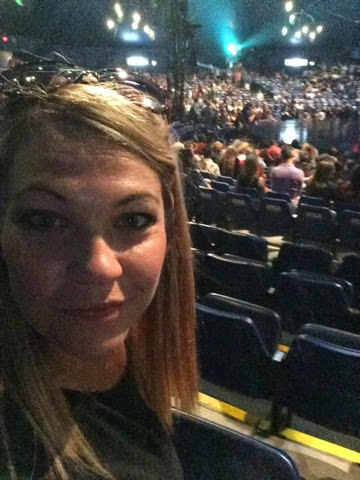 I have seen two previous cirque shows (Kooza and Ovo) and LOVED them. I hadn't had the chance to go back since having kullen so when given the opportunity to visit and review the show, I was estatic! I just KNEW my boys were going to love it! Amaluna is different than other Cirque shows because it's about women empowerment! (can i get a HECK YES!) The cast is 70% women and the band is 100% women. 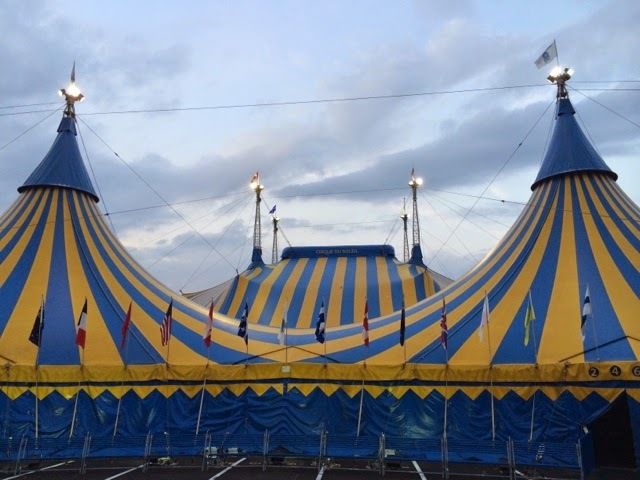 This is the first time in history of Cirque that this has happened and while we're talking history - it's also the 30th anniversary of Cirque Du Soleil! It truly felt like a magical show! The show opens with Cali (the lizard-man) having fun with the audience! He stole a mans popcorn and began eating it and then throwing it back at him! Then he climbed a 'tower' and began throwing popcorn down on the audience below. Kullen absolutely loved that part! 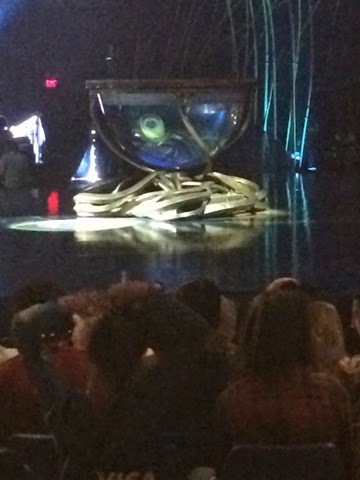 A main feature of the show was a huge water bowl. My favorite part was the main character, Miranda, swimming in the bowl and doing some extreme hand balancing while dripping wet! The rest of the show included Uneven Bars, Juggling, Teeterbord and even a women balancing palm leaf ribs! You can check out the entire lineup of acts HERE. 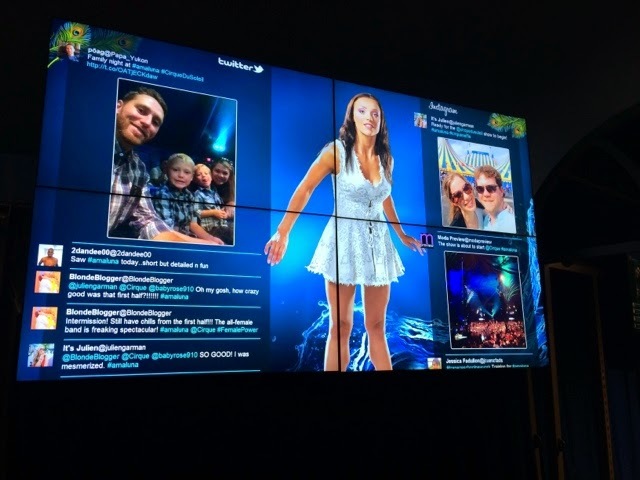 We were invited on Media Night which was truly exciting for me! 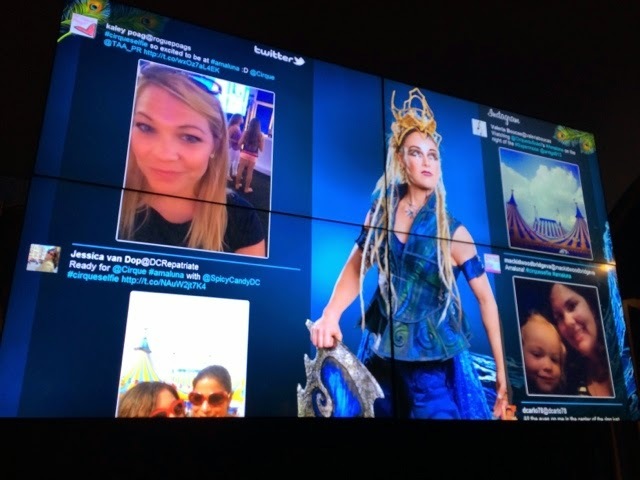 I was so excited to stay afterwards and mingle with other bloggers and have a Q&A session with Amaluna's publicist Rowenna Dunn. We learned some interesting information and had a great time! a super BIG thank you to Cirque for providing tickets for me and the boys to attend the show and stay for Media Night. It's an experience we will never forget! Cirque and Amaluna want you to experience this amazing experience for yourself! They have provided me with FOUR tickets to giveaway to one lucky reader for the August 28th show at 8pm! The giveaway will be open until Aug 25th! Good Luck! Sounds like you had a great time. 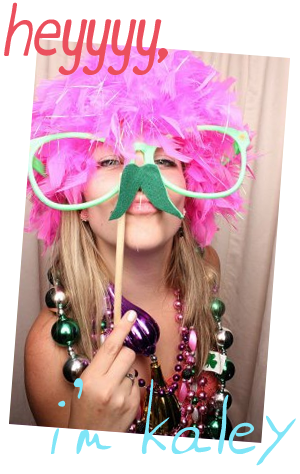 I love the Cirque and want to GO !!! I love Cirque! I've seen a few so far! I want to see them all! I haven't seen a Cirque show, but I did see Cavalia, and I loved that! I have never been to a full show, just a mini show at Sea World many years ago and it was amazing. I really want to go to this!! Haven't seen it and would love to go! Oh wow this sounds like fun I would love to take my family!! !